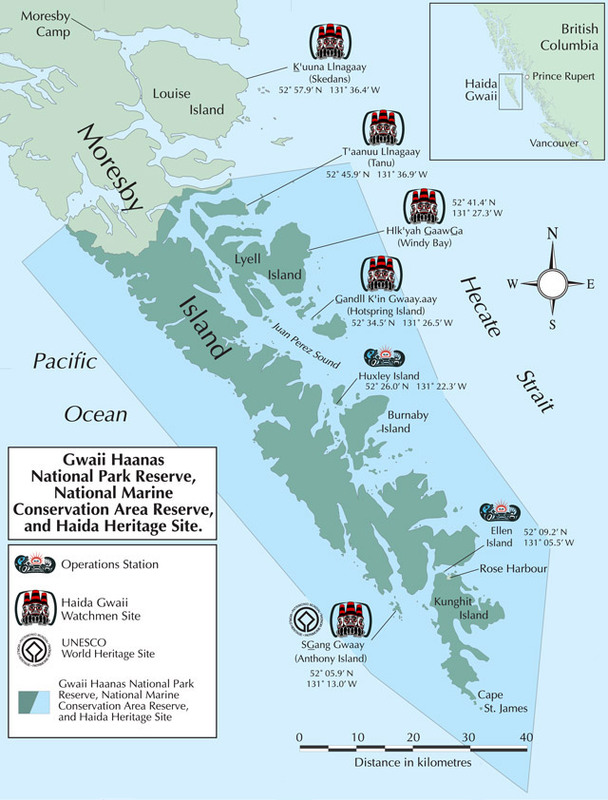 This map shows the Waters of SGang Gwaay tour and Cape Freeman Expedition. For photos and information, click the route lines and placemarks. Pan the map by clicking and dragging, or view the entire map. 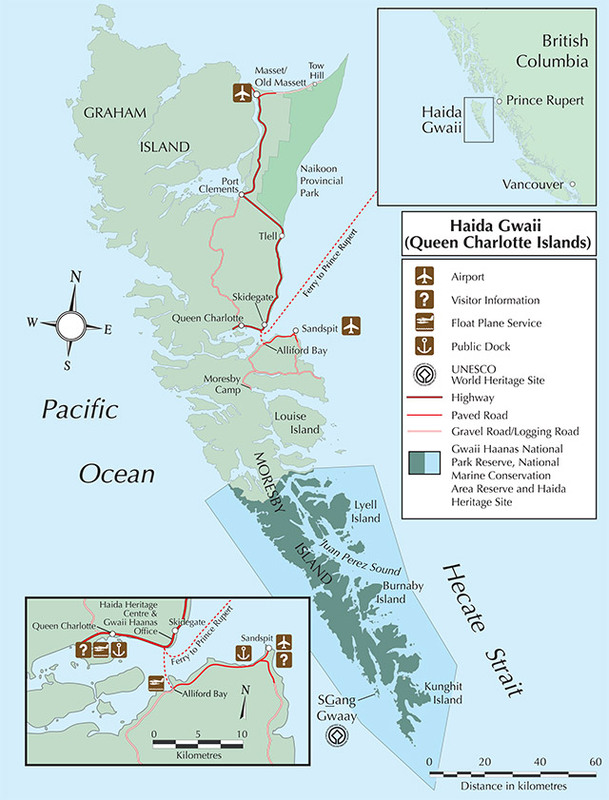 Evolution Expedition explores a route similar to our Waters of SGang Gwaay tour. 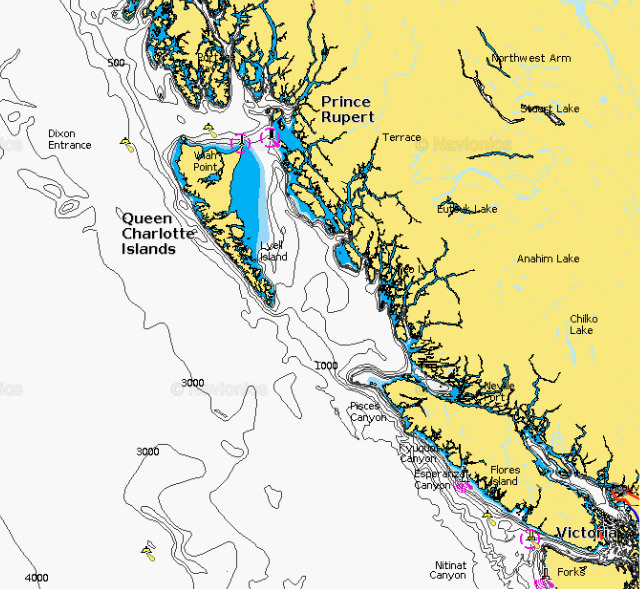 Routes remain flexible to accommodate changeable west coast conditions. a route similar to the Waters of SGang Gwaay tour.